DATE OF BIRTH: 2 January 2001, Exeter, Devon. 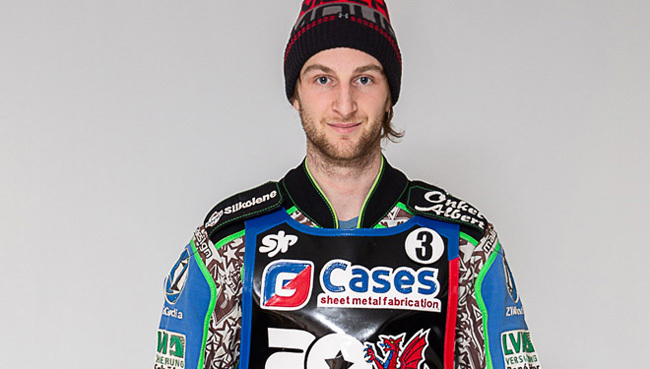 BRITISH CAREER: (2016) Coventry II; (2017-18) Plymouth; (2019) Somerset. MAJOR HONOURS: British 125cc Champion: 2011. DATE OF BIRTH: 19 June 1988, Coronel Pringles, Argentina. 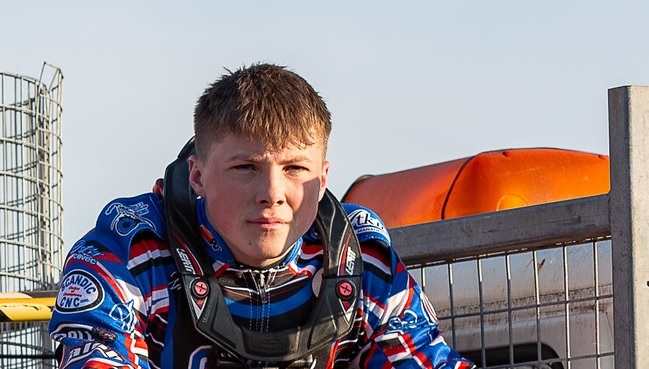 BRITISH CAREER: (2012-13) Birmingham; (2014) Birmingham, Sheffield; (2015-17) Ipswich; (2018) Somerset, Ipswich; (2019) Somerset. MAJOR HONOURS: Argentinean Open Champion: 2008, 2013; Italian Champion: 2013. CLUB HONOURS: Knock-Out Cup winner: 2018 [Somerset]. GRAND PRIX RECORD: 2 GPs ridden, 0 GP finals, 0 GP wins, 5 GP points. WORLD CUP RECORD: 5 meetings, 35 points. DATE OF BIRTH: 21 December 1994, Rotthalmünster, Germany. 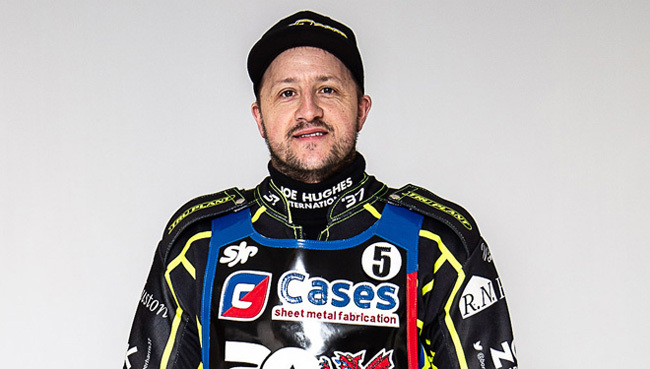 BRITISH CAREER: (1998) St Austell; (1999-2000) Exeter; (2001) Trelawny; (2002-03) Trelawny, Peterborough; (2004-10) Coventry; (2011) Belle Vue; (2012) Coventry; (2013) Birmingham; (2014-16) Coventry; (2017) Rye House, Peterborough; (2018) Poole, Rye House, Glasgow; (2019) Ipswich, Somerset. CLUB HONOURS: League Championship winner: 1998 [St Austell], 2000 [Exeter], 2005 [Coventry], 2007 [Coventry], 2010 [Coventry], 2018 [Poole]; Knock-Out Cup winner: 1998 [St Austell], 2006 [Coventry], 2007 [Coventry], 2017 [Peterborough]; Premier Trophy winner: 2002 [Trelawny]; Elite Shield winner: 2006 [Coventry]; Craven Shield winner: 2007, 2008 [both Coventry]; Pairs Championship winner: 2008, 2010 [both Coventry]; Four-Team Championship winner: 2017 [Peterborough]. DATE OF BIRTH: 4 November 1992, Cowra, New South Wales, Australia. BRITISH CAREER: (2009) Newport II; (2010) Newport, Newport II; (2011) Newport, Newport II, Coventry; (2012) Plymouth; (2013) Plymouth; (2014) Somerset; (2015-16) Plymouth; (2017) Sheffield; (2018) Leicester, Sheffield; (2019) Somerset. 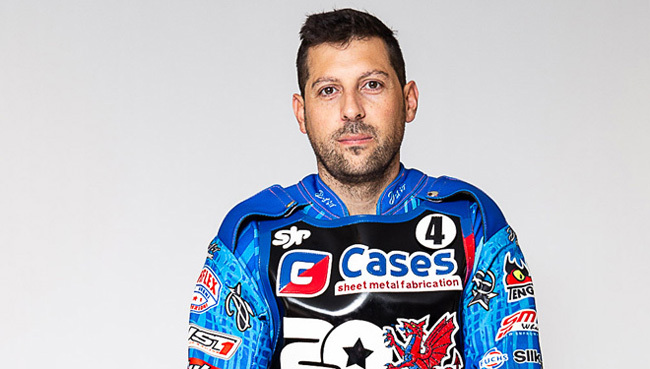 MAJOR HONOURS: Australian Under-16 Champion: 2008; New South Wales Under-16 Champion: 2008; Australian Longtrack Champion: 2011; Australian Longtrack Champion: 2012. CLUB HONOURS: 2011: Knock-Out Cup winner: 2012 [Newport]; Premier Shield winner: 2014 [Somerset]; Four-Team Championship winner: 2014 [Somerset], 2016 [Plymouth]; League Championship winner: 2017 [Sheffield]. 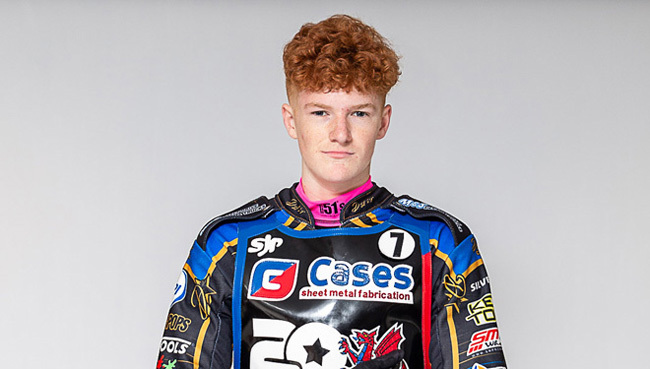 RIDER LINKS: Brother of Brady Kurtz (born: 27 September 1996, Cowra, New South Wales, Australia). BRITISH CAREER: (2017-18) Kent; (2019) Somerset, Kent. DATE OF BIRTH: 1 September 1984, Darwin, Northern Territory, Australia. 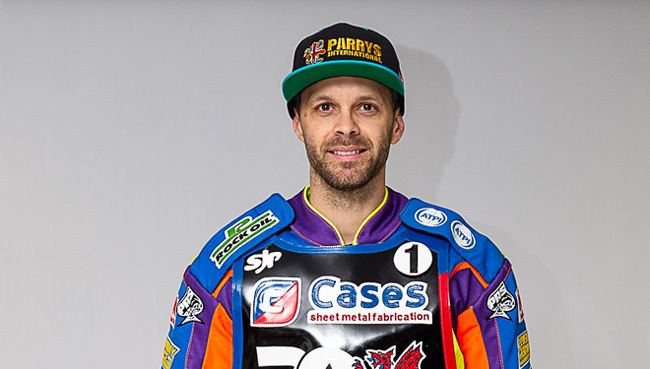 BRITISH CAREER: (2001-02) Edinburgh, Sheffield II; (2003-04) Edinburgh, Belle Vue; (2005-07) Coventry; (2008) Coventry, Ipswich; (2009) Coventry; (2010) Coventry, Peterborough; (2011-12) Belle Vue; (2013-16) King’s Lynn; (2017-18) Wolverhampton, Ipswich; (2019) Wolverhampton, Somerset. MAJOR HONOURS: South Australian State Under-16 Champion: 1998, 1999, 2000; Australian Under-16 Champion: 2000; Australian Under-21 Champion: 2003, 2004; South Australia State Champion: 2004, 2005, 2006, 2007; Elite League Riders’ Champion: 2011, 2013. CLUB HONOURS: League Championship winner: 2001 [Sheffield II], 2003 [Edinburgh], 2005 [Coventry], 2007 [Coventry], 2010 [Coventry]; Elite Shield winner: 2006 [Coventry]; Knock-Out Cup winner: 2006, 2007 [both Coventry]; Craven Shield winner: 2007 [Coventry]. WORLD CUP RECORD: 7 meetings, 36 points, 1 Bronze medal. 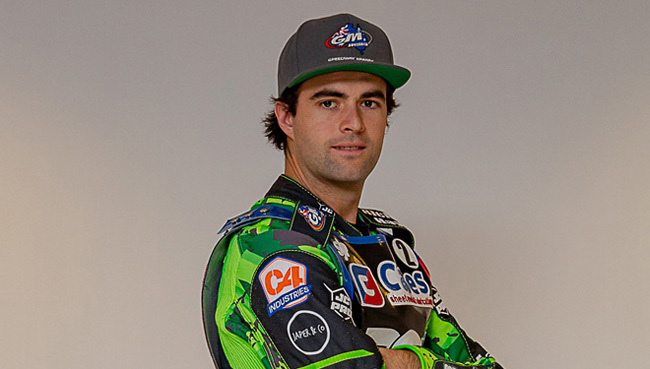 RIDER LINKS: Son of Lyndon Schlein (born: 1 December 1951, Adelaide, South Australia).